The New Delhi YMCA responding to the Government of India's call for self-reliance in Foodgrains initiated setting up of a Rural Development Centre in Hodal Haryana in 1972. The project envisaged a comprehensive and integrated approach towards improving the quality of life in Rural areas that would in-turn boost agricultural productivity. The Project comprised of an Agriculture demonstration far spread in 11 acres, a model dairy having a cattle breed improvement programme, biogas project, A Rural Health Clinic and awareness programme, Farmers Education, Vocational Training for Rural women and functional literacy for rural adults. Recently the Board of Directors of New Delhi YMCA have decided to focus on educational needs of the area by starting YMCA Public School. YMCA Public School - a Minority Institution run by New Delhi YMCA - with a Mission to care and support young children so that they fulfill their potential, make steady progress and become successful learners as well as confident individuals and responsible citizens. YMCA Public School offers a thoroughly prepared environment for learning and complete development for children in beautiful and aesthetic surroundings. The school curriculum and the extra-curricular activities enabling an overall development of the youth in sync with the motto of YMCA that believes in the development of the Mind, Body & Soul. 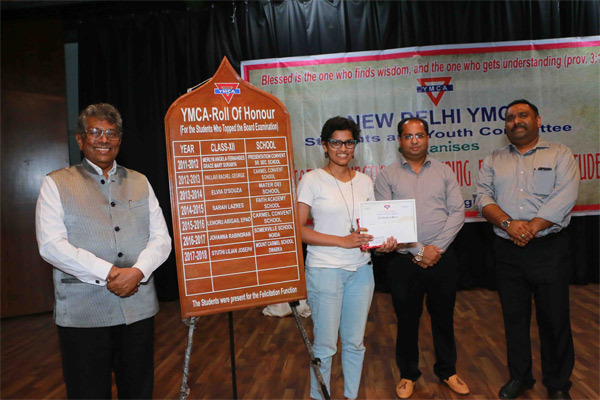 The New Delhi YMCA is committed to upgrading the school to Senior Secondary level. The groundwork has been done and process to obtain necessary permissions has already begun. Programmes like Sports day, Talent Hour, Adventure Camps etc. create opportunities for students to display their talents and to get groomed in public speaking, personality development as well as other leadership qualities. To provide education that develops qualities of integrity, honesty, trust, tolerance & compassion amongst its students. To run a co-educational integrated school which provides opportunities for a wide range of social, cultural & co-curricular activities. To prepare children for the Senior School Certificate Examination. To Create Rural Centre into an Educational Institution and continue with its social development programmes.